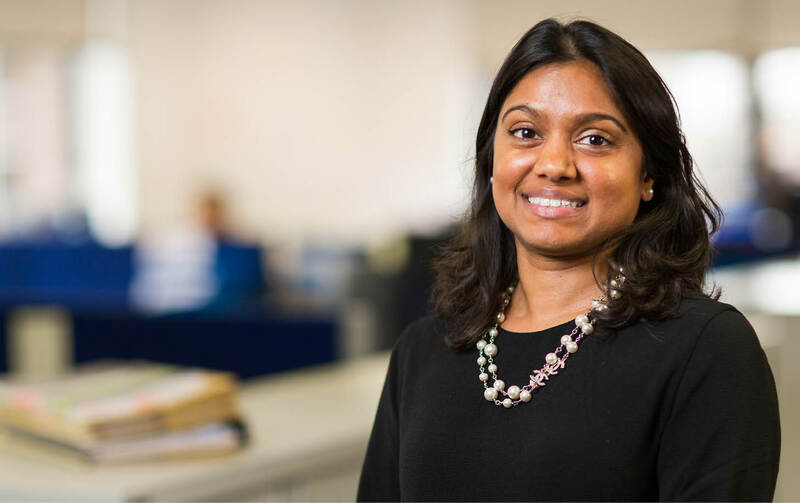 Tanuja is a partner in the commercial property team based mainly at the Woking office. She has worked as a commercial property lawyer for over 14 years. She joined Morrisons in 2012 from Barlow Robbins LLP, having previously worked at Laytons in Guildford. Tanuja takes the time to get to know her clients and their businesses so that she can understand their requirements and concerns right from the beginning of a transaction. Her clients commend her for her practical and commercial approach and her responsiveness. She has a specific interest and expertise in acting for banks in secured lending transactions involving both UK and overseas borrowers acquiring commercial property in the UK for investment. This work is often complex, involving mixed use properties and very tight timescales. She also works very closely with the Corporate and Commercial team and supports company acquisition and disposal transactions. She is also a member of the healthcare team. Our healthcare team is recognised nationally as being a leader in this field. She is a regular attendee at Surrey Chamber and other local networking events. She is also mentor for the University of Law and a business adviser on the young enterprise scheme for a local school. She also supports and gets involved with a number of local charities. In her spare time, Tanuja is a keen ballet dancer. She has done all the Royal Academy of Dance Examination qualifications and her dream one day is to be able to teach ballet! Tanuja has been working for our firm for over 13 years. Her professionalism in dealing with property purchasing, management and other legal affairs has always been outstanding and extremely accurate. She is always available to discuss matters and her advice has been correct on all occasions. Tanuja acts for a number of dentists on the acquisitions and sales of their dental properties. These deals are complex and involve a number of different parties and properties so trying to coordinate and complete these deals is often challenging and is a bit like pulling teeth! Tanuja acts for an institutional bank on a number of secured lending transactions which are often high value and involve very tight timescales.